One way vision is perfect for display windows and vehicles, including taxis, buses and commercial vehicles. One way vision is a sticker/film that is placed on the external side of glass or a rear vehicle window. The film has the desired image or graphic digitally printed on it and it is then adhered to the outside of the glass. One way vision film consists of a self adhesive film that has perforated holes in it allowing for the driver to be able to see out of the window/glass. The way these films are manufactured and how the holes are designed ensures that you can still see the graphics perfectly, but have an unobstructed view from inside. One way vision is a very inexpensive way of advertising your business on your car that can easily be removed when the car is sold. 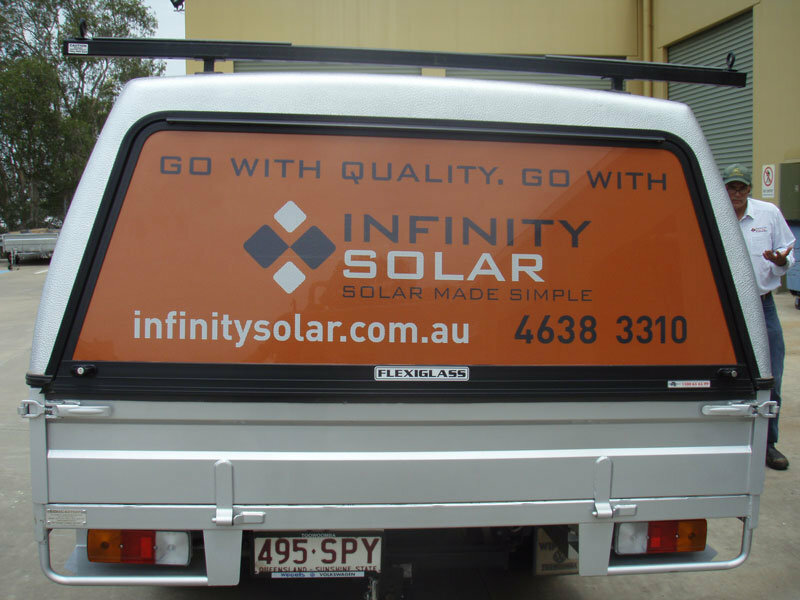 Lifespan of the product is about 18 months to 2 years, it should be noted that graphics installed on the back of ute windows or vans will possibly have a longer life as they have less contact with direct sunlight. 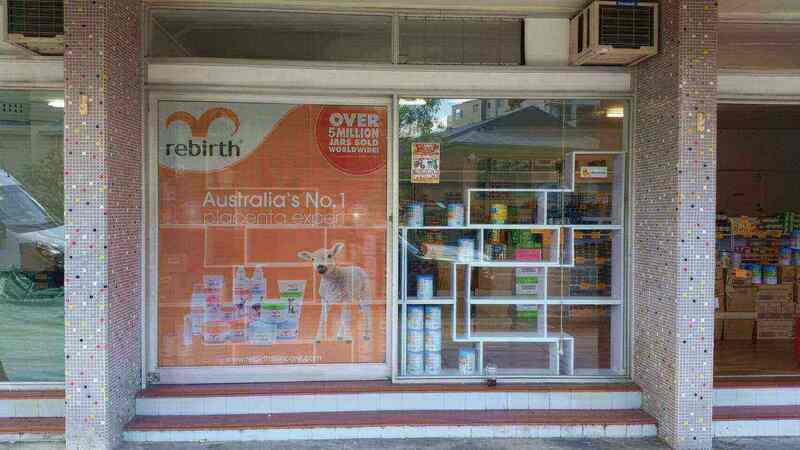 View our video show installation of this great product. 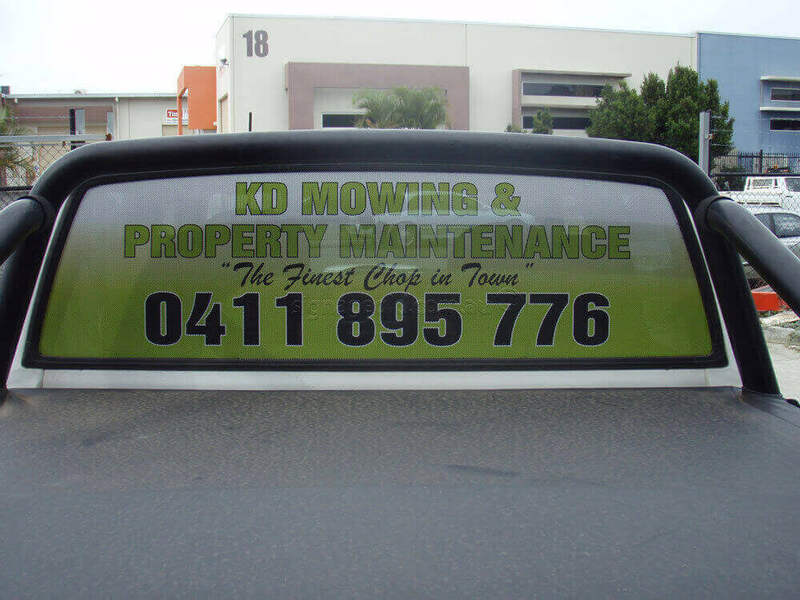 One way vision signage for the back of your ute is a great use of this space.